If you're visiting Manhattan, you may be able to lace up a deal! 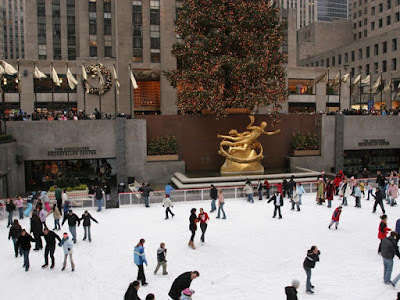 The ice rink at Manhattan's Rockefeller Center is celebrating its 75th anniversary with a $7.50 Tuesday promotion (skate rental included). The deal runs through February 7th, 2012. It includes four hours on the ice. Typical pricing this time of year would start at $21 for adult rink time and skate rental and $16.50 for children under 11. So jump on it kids!